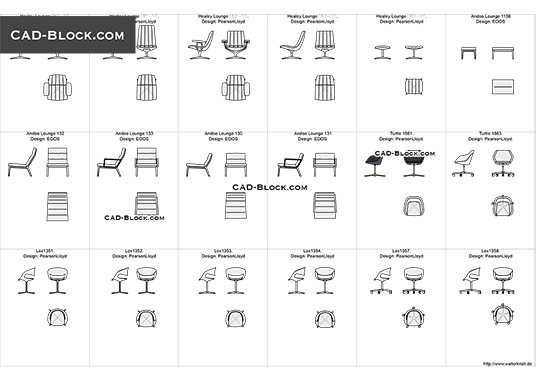 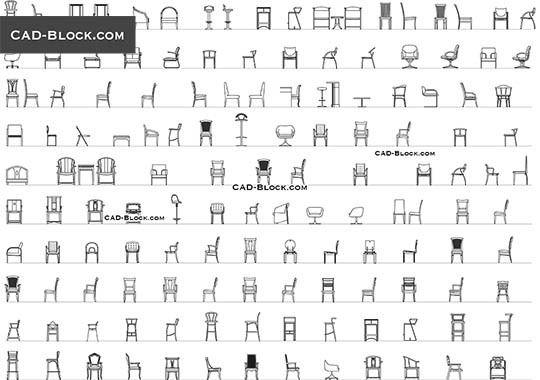 This is free CAD library of designer chairs for any AutoCAD softwares in DWG format. 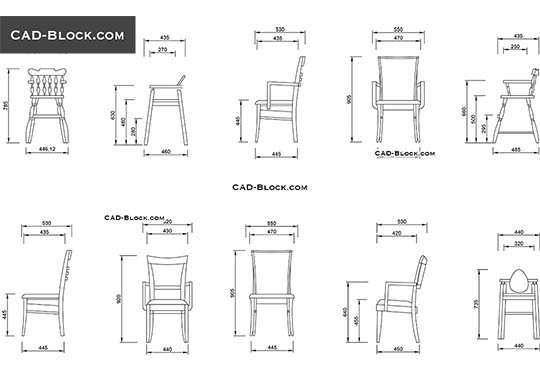 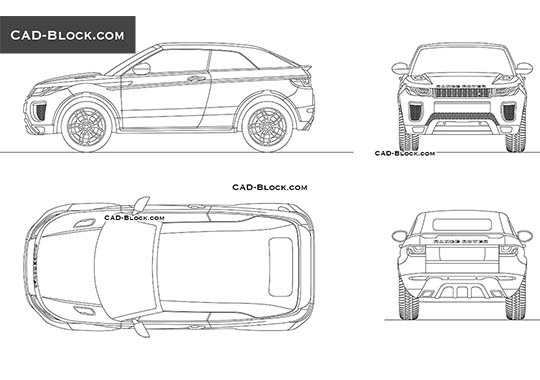 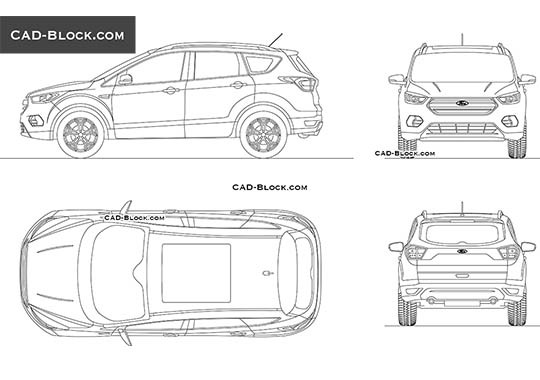 The chairs in plan, front view and side elevation view. 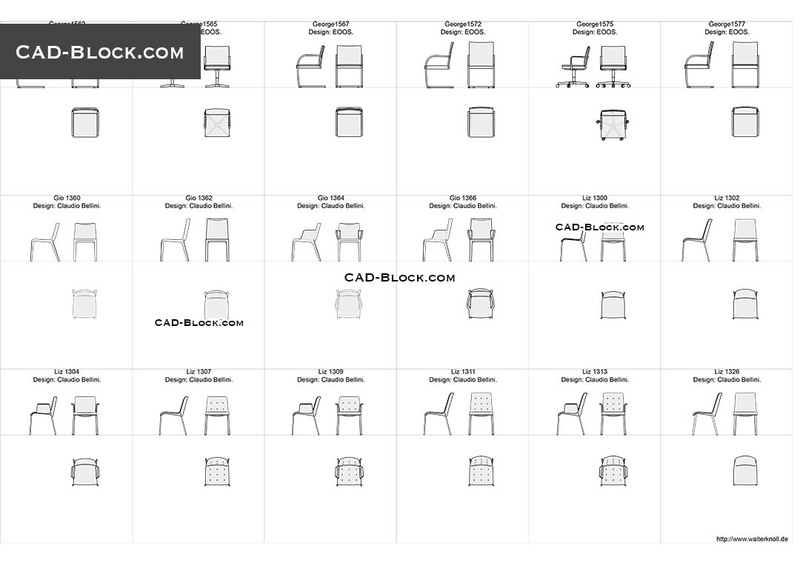 how do you scale the block down to fit in your drawing? 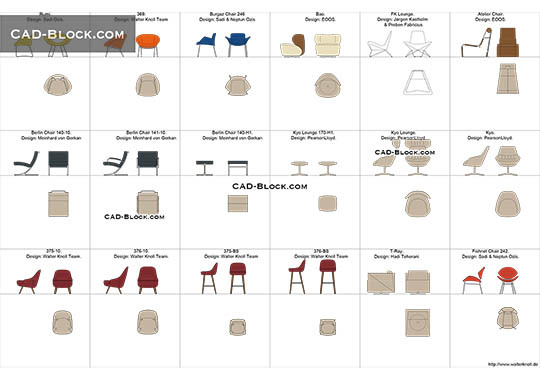 As always, excellent Autocad collection!